Secret Wars turned out to be really fun to read. 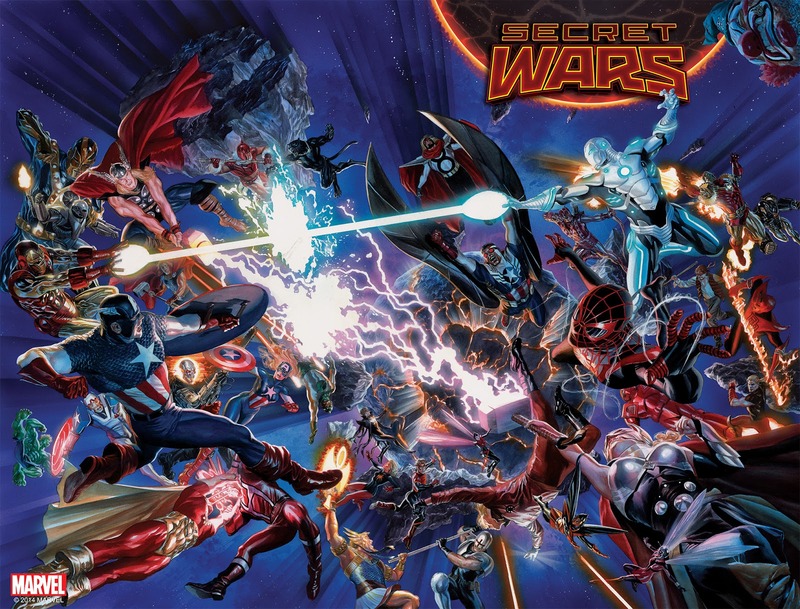 After checking out some of the side stories that tie into it, like Spider-Verse and Old Man Logan, I thought I would check out the main Secret Wars series. Apparently, over the last few weeks of Marvel binge I've absorbed enough information about the general state of the Marvel universe to actually appreciate this giant crossover. Secret Wars sees the end of all the worlds across all Marvel properties as they slowly crash into each other and are destroyed. This results in Doom becoming a god and jamming a bunch of sections of different universes together into Battleworld... the last planet in existence. It's a fun setting where they can remix characters and they're not afraid to kill heroes off. I've had a lot of fun tearing through a ton of Marvel comics on Marvel Unlimited lately but I think I'm finally to the point where if I wanted to check up any further I would have to buy comics individually because they're not on Unlimited yet. So after Secret Wars I'll probably wait another few months before I check in on the Marvel world again. Letting a little backlog build up seems like a good idea. I only have a few more comic recommendations (the rest are non-Marvel) and then I'll be back to a more regularly comic schedule of only checking in on stuff occasionally. Thanks so much for all the comics recommendations everyone who sent them my way after listening to the podcast!